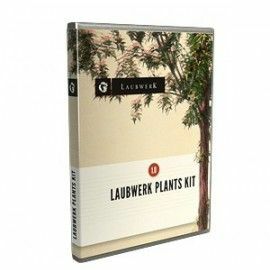 Temperate Deciduous Trees – 10 broadleaf tree species of Laubwerk Plants in 3 variants, 3 ages and 4 seasons each, for architects and CG artists working in 3ds Max, Maya, Cinema 4D, and Houdini. A selection of small to medium-sized trees for ornamental use, parks and streets, including the stunning pink-blossomed Kanzan and the impressively tall and slender cypress oak. The following 10 tree species are included in the Plants Kit 1. Each species comes in 36 variations per species, i.e. 3 variants, 3 ages and 4 seasonal aspects, for a total of 360 models per Kit. A fast-growing, medium-size tree of asymmetrical and broadly round shape, often with several stems. The light green foliage with three to seven leaflets turns yellow-green in autumn. The box elder is one of the most common North American maples in cultivation and one of the most planted foreign trees in Central Europe. Large tree with an oval or round crown shape. The autumn foliage is spectacular, ranging from bright yellow and orange to fluorescent "Indian summer" red-orange. One of the primary source of delicious maple syrup, the wood is also one of the hardest and densest of all maples. A favorite street and park tree because it is easy to propagate and transplant. A large asymmetrical tree that is stiffly upright when young, aging into a broadly conical to asymmetrically round crown. Turns brilliant golden yellow in autumn. The ginkgo is a unique species with no close living relatives, similar to fossils dating back 270 million years. Widely cultivated since early human history, the ginkgo has various uses as food and in traditional medicine. The showiest of all Japanese trees with its large pink double flowers, this tree is famously part of Washington DC's Cherry Blossom Festival. More spectacular colors appear in autumn, when the leaves turn from yellow-green to a reddish copper color. Cultivated in Europe and North America, it is usually grafted on to wild cherry (Prunus avium) roots. A splendid, large tree that starts out conical in shape before growing a domed, or occasionally, a pure round crown. In the autumn, leaves turn green-yellow or deep golden. Widely grown as ornamental trees throughout Europe starting in the 17th century and widely cultivated in northeastern America, a famous example is the boulevard Unter den Linden in Berlin. 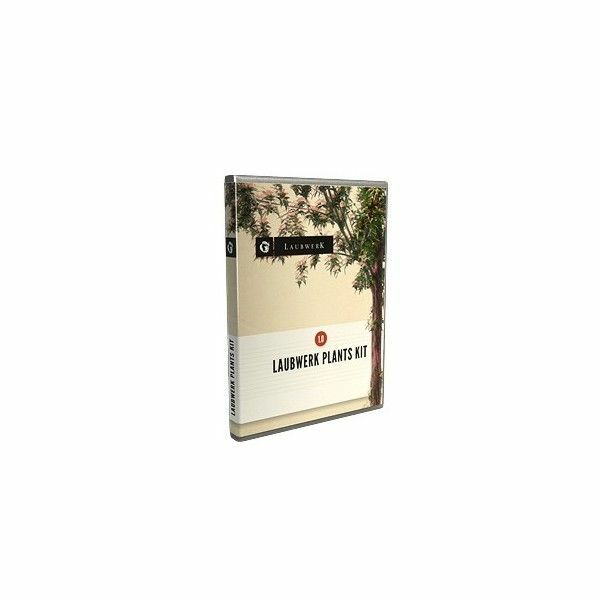 The Laubwerk Player is a plugin for Autodesk 3ds Max, Maya, MAXON Cinema 4D, and Sidefx Houdini, that comes bundled with every Laubwerk Plants Kit. It loads the models and allows for easy selection and manipulation of the models, e.g. choose between variations, ages and seasons and allows fine grained control about Level of Detail. 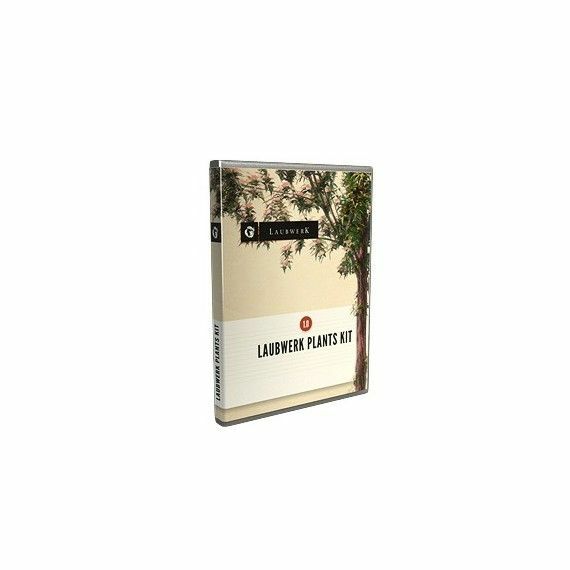 See the Laubwerk Player page for a more detailed description. Licenses are 'Per Artist'. Contact us if additional artist licenses are needed. Autodesk 3ds Max or 3ds Max Design (2010-2017), Autodesk Maya (2014-2017, Win & Mac), MAXON Cinema 4D (R12-17, Mac & Win), or Sidefx Houdini (13-14, Win, Linux on request). A computer that is capable of running your version(s) of 3ds Max, Maya, Cinema 4D, or Houdini.